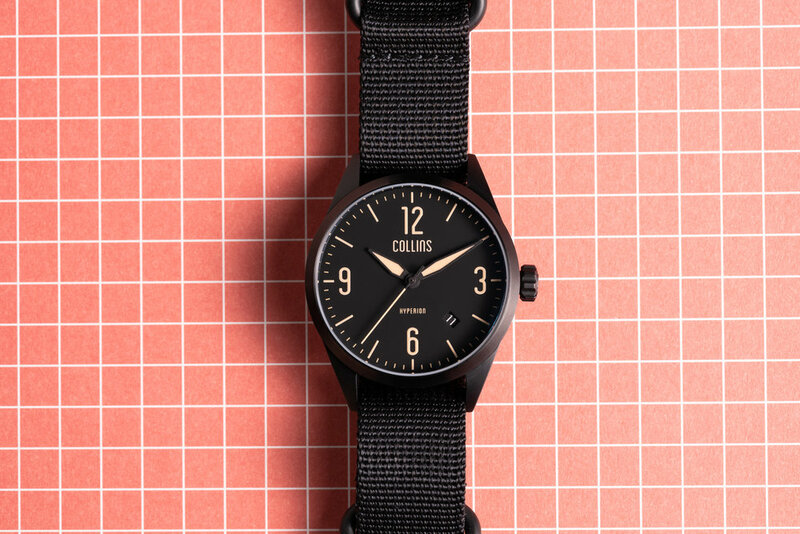 Collins watches are designed in Los Angeles, California and assembled in Cleveland, Ohio. Featuring high-performance automatic movements from Japan and Switzerland, Collins watches are built to go anywhere. All Collins watches features 100-meter water resistance, 316L stainless steel cases, sapphire crystal, and thickly-applied Super-LumiNova lume. © Collins Brand 2019. All Rights Reserved.